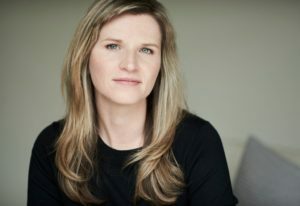 Tara Westover’s memoir “Educated,” about growing up in a survivalist family in rural Idaho, is our May pick for the new PBS NewsHour-New York Times book club, “Now Read This.” Become a member of the book club by joining our Facebook group, or by signing up to our newsletter. Learn more about the book club here. 1.What is your daily writing routine? I get up when I feel like getting up. That’s the deal I’ve made with myself: I can stay in bed as long as my dog’s bladder holds. The other half of that deal is that once the dog is walked, the very next thing I do is write. It’s mechanical. It’s programming, very nearly brainwashing. I lay the leash on the stairwell, I make a cup of tea, then I work. I have books I like very much, but I don’t think there are any books that everyone should read. I prefer a world in which some people read this, and others read that. It’s my justification for writing. If we were all supposed to read the same books—the same “classics,” to use an intimidating, almost paralyzing word—I’d say we have enough of them by now, too many really, and I’m just making the problem worse by trying to add my own scribblings to the bottomless stack. But if we need an infinite supply of books, so that the billions of people on the planet can all read different books in different combinations and have an infinite number of unique conversations about the books they have and haven’t read—well, then I have a justification to write. Clearly we need more books. And we will always need them. The Bible. I’m no longer religious, but the Bible fascinates me. Hardly anyone reads it anymore, but it’s got everything: it’s a book of poetry, it’s a book of principle, it’s a book of stories, and of myths and of epic tales, a book of histories and a book of fictions, of riddles, fables, parables and allegories. It’s hard to think of any writerly device that can’t be found in the Bible, often in a very beautiful and subtle form. That inspiration is a myth. And that words that seem inspired usually come about the way anything of value comes about: because somebody put in the time and did the work. There was no single moment when I knew I wanted to write the story. Instead, there were many small moments in which I knew I wanted to try. I didn’t know if I would be able to write it, or if I was able, whether anyone would want to read it. The story was so particular, I worried that people would find it difficult to identify with. On the other hand, I knew that I had identified with many characters in books that, on the surface, had nothing in common with me. So I trusted in that knowledge, hoping that if I told the story as best as I could, it might somehow resonate with others whose lives had been different from mine.